This essay considers the arenas of advocacy, politics, and self-reflection in strengthening conservation and resource management initiatives. It frames key questions that reflective conservation practitioners may address in seeking to enhance the results of conservation projects, including equity and more inclusive participation by nonprivileged groups. The essay touches on the importance of understanding conservation work within particular political and historic dynamics, including the need to understand non-Western and/or indigenous or traditional perspectives on conservation. 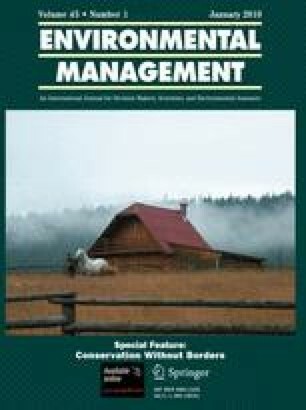 The author makes the case that Western or privileged conservation practitioners are uniquely situated to advocate effectively for change. This essay is adapted from the author’s speech at the symposium, “Conservation Without Borders: The Impact of Conservation on Human Communities,” which was convened by the Center for Tropical Ecology and Conservation (CTEC) on October 9, 2004, at Antioch University New England. The author thanks CTEC Co-directors Beth A. Kaplin and Peter Palmiotto and CTEC Symposium Coordinator Shawn W. Margles for the opportunity to explore these topics and questions. The author also thanks the Robert F. Kennedy Memorial Center for Human Rights and the Richard and Rhoda Goldman Fund for those institutions’ financial support of the research that informed this essay as well as Stephanie G. Fried for mentoring me in the politics of conservation advocacy and the primary importance of personal responsibility in such work. The author thanks, too, to Dr. Dan Smith for re-connecting her with the work of Dr. Michael Dove. The author extends special thanks to John Rumbiak, Bambang Widjojanto, Mama Yosepha Alomang, Tom Beanal, Eliza Kissya, and the staff and members of LEMASA, ELSHAM, and Baileo Maluku for introducing me to a non-Western lens on conservation and the inextricable links between human rights and environmental protection.